The biggest problem faced by Students (and Parents) today is that they have no intelligent way of identifying exactly where they need improvement. Students lack the maturity for self-introspection and parents don't have the wherewithal to keep up with student's progress or lack thereof. Teachers don't have the bandwidth or resources to drill down to the level of an individual student subject chapters or units to guide them on the right path. They rarely deviate from a rigid teaching plan aimed at completing the syllabus on time. Clay6 has so far been really useful to me...and i hope its useful to all others as well...the main catch of the site is that it not only gives us say tests and answers but conducts championships. It was really interesting and i learnt a lot. Thanks to Clay6. Sai Parth, Class XII, DAV Boys Senior Secondary School, Chennai. sir/mam, Clay6 is really a must have thing. On my first test only, i felt very happy. Thank you for this wonderful thing. Clay6 is an amazing website, a great project, which helps students to learn more, to practice, to know their academic performance, to get into a habit of giving online tests. I recommend it to everyone. Great work! Practice makes Perfect!! True to what it says, Clay6 offers several model papers, sample papers and tests, enough material to practice and learn. The step-by-step instructions that it offers is fantastic. Rather than give the entire solution at one go, it encourages the students to think and try out each step and take help only when needed. The progress report shows clearly your areas of strengths and helps you focus on the areas which require improvement. Ask a Question lets you ask questions to the experienced tutors and look through the extensive question bank. Clay6 makes learning fun. 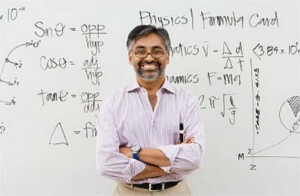 Srikanth Narasimhan, parent of ClassXII student at P.S. Senior Sr. School, Chennai. I would like to appreciate the team behind the conceptual design of the website. I have gone through the newsletters and other features of the website. The practice area loaded with problems and their solutions is too good chapter wise. My daughter felt that the questions are at different levels. The practice question papers are also of great help to the students. From my analysis of CBSE board papers, I never find any question being repeated or most frequently asked in five years papers and so guessing the questions is really a Herculean task. These papers being crafted by experienced teachers would definitely act as pointers for students to prepare for their exams. The blogs I read are simply awesome. The content and the quality are excellent. They act as real boosters to the kids. While updating, my kind request is to see the information from the boards are clearly stated so as to avoid confusion in the minds of the readers. In a nutshell, the website is quite educative, simple and comprehensive. The clay6 practice tests were very interesting, it had the feel of a regular exam but still got us thinking, it also covered a wide range of topics which I think is very important. The timing aspect was crucial, as timing is everything in entrance exams. All in all I would call it a package!